No Star Trek show? Are you serious? Let’s make one! If ever a show was inevitable, Make It So is it. 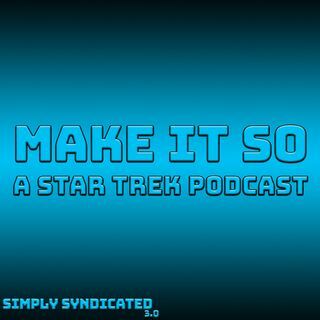 We all love Star Trek here at Simply Syndicated, and this show was something we needed to do. It was time to show our hands and reveal our geek credentials. We needed to talk about it in depth, ask questions, pose theories and lovingly both worship and pick apart the Trek universe’s vast canon of episodes and movies. Acknowledging that whilst we love it, there are flaws, and feeling ultimately ... See More secure in the belief that watching Star Trek will make you a better person.